Lena Dunham recently shuttered her Lenny Letter publication and dissolved her production relationship with Jenni Konner, but that doesn't mean she's out of work. Instead, the oft controversial figure has signed on to adapt a true Syrian refugee story for the screen. 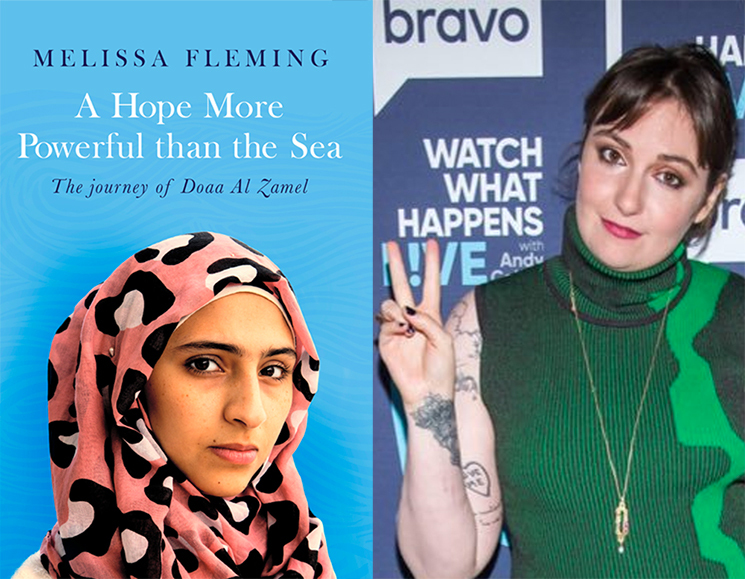 According to Variety, producers Steven Spielberg and J.J. Abrams have hired Dunham to adapt the non-fiction book A Hope More Powerful Than the Sea: One Refugee's Incredible Story of Love, Loss, and Survival. The book was written by Melissa Fleming, chief spokeswoman for the United Nations High Commissioner and Flatiron Books. It follows the true story of Doaa Al Zamel, a mother of two was shipwrecked while fleeing Egypt for Sweden by boat. She survived in open water for two days while carrying her children in an inflatable water ring. Dunham shared the news on Twitter.